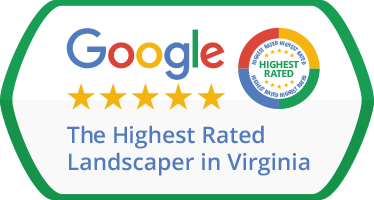 In a day and age in which everyone is busy juggling several responsibilities at once, Green Hill Landscaping is able and willing to provide clients in Vienna, VA, the best possible services in lawn maintenance. We have been active in the Great Falls area for years now and understand the particularities of the local climate and soil. We know which grass strains grow best around here and also know that early spring is perfect to begin aeration, seasonal clean up, and shrub care. Most importantly, though, we know how valuable your time is for you. As such, we’d rather have you spending quality time with your family, instead of taking endless trips to the hardware store, worry over mowing the lawn, or spend money on mulch. Let Green Hill Landscaping take care of all that for you; to make things even easier, we’ve implemented an online billing and order tracking system. This way, all you need to do to pay for lawn maintenance is go online. There, you will also see how much time our team of technicians has spent on your property, when they’re scheduled to come in next and what kind of work they’ve put in for you. We thrive on being upfront, helpful, and affordable! Impeccable Lawn Care. Vienna, VA You Have Found It! If you live in Vienna, VA, you may have noticed that some of your neighbors’ lawns look impeccable. Go ahead, ask them who their lawn care provider is. Or, better yet, give Green Hill Landscaping a call today. We can take care of all your lawn maintenance needs, from a simple Lawn Mowing, to Weed Control & Fertilization, Spring Mulching, and Seasonal Flowers. Are you dreaming of a garden full of colorful, seasonal flowers, but fear your garden isn’t good enough for it? No matter how shaded, or how depleted of nutrients its soil may be, our highly trained technicians will solve the problem for you. 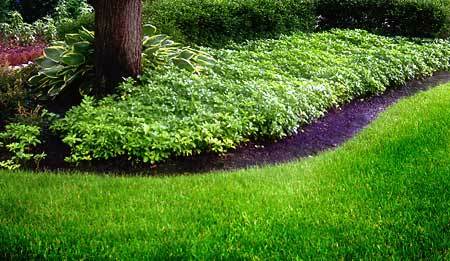 They will place mulch around your plants and trees, to keep the soil moist and the vegetation thriving. They will feed slow-release fertilizer into your soil, to make it more nourishing during the top seeding season (from June to September). They will help you turn the lawn and garden of your dreams into tangible realities. Looking for more? We, at Green Hill Landscaping, for instance, have seen the best results in Vienna, VA, in gardens that were fully mulched and irrigated. That’s why we decided to also offer Irrigation Service in our range of services. And, with us, you won’t get tied down in any contracts, or wonder what you’re paying for. Since you’re tracking your order in real time, online, you only pay for what you want and specifically demand. What’s more, if, at the end of the day, you’re not entirely happy with the services we have provided, we will return and fix the issue until you are completely satisfied. That’s why we believe you’ll be happy with us. Give us a call at 703-327-3271 and see for yourself!